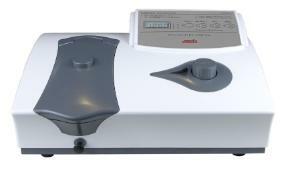 Wards® Visible Spectrophotometers are perfect for your classroom or laboratory. The easy-to-use 1208 and 1204 are ideal for any standard application, while staying within a conservative budget. They have a high quality silicon photodiode detector and 1200 lines/mm diffraction grating that assures high performance, as well as a large digital display and built-in, automatic filters for easy operation. These spectrophotometers feature Absorbance, Transmittance, Factor and Concentration modes, as well as automatic zeroing and blanking with the touch of a single button. The 1208 and 1204 visible spectrophotometers feature both USB and RS-232C ports for data transfer and you can select optional Windows® based software for easy data collection and application expansion to standard curve and kinetics, Abs. and %T. Data can be easily exported to Microsoft Excel® for further processing, analysis and storage. Software can be used with Windows® 2000, ME, and XP. Bulb changes are quick and easy when needed and require no tools, or alignment. The large sample compartment can accept cuvettes up to 50 mm path length and can accept a variety of optional accessories. Ordering information: The Model 1208 comes with a standard V-type round tube holder, a single square cuvette holder, 12 round optical glass cuvettes, a set of two optical square glass cuvettes, operation manual and dust cover. 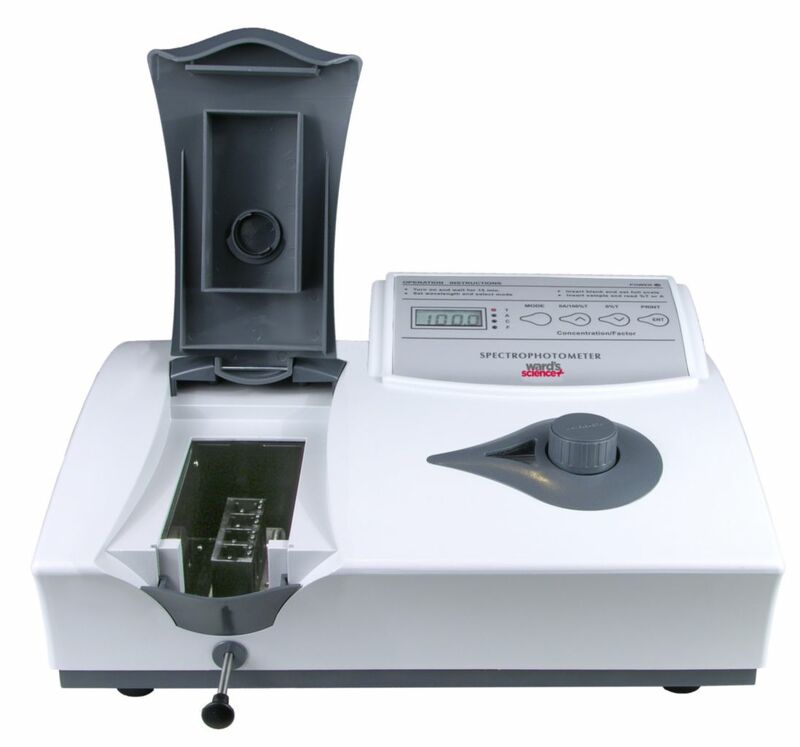 The Model 1204 comes with a standard 4-cell (four position) 10 mm, square cuvette changer, set of two optical glass square cuvettes, manual and dust cover.